Costumes, Reverence, and Forms is the culmination of a year’s worth of curatorial exchange work involving two institutions and six curators – together we reviewed 180 artist’s websites, conducted 22 studio visits, and logged countless hours of communication and thought. 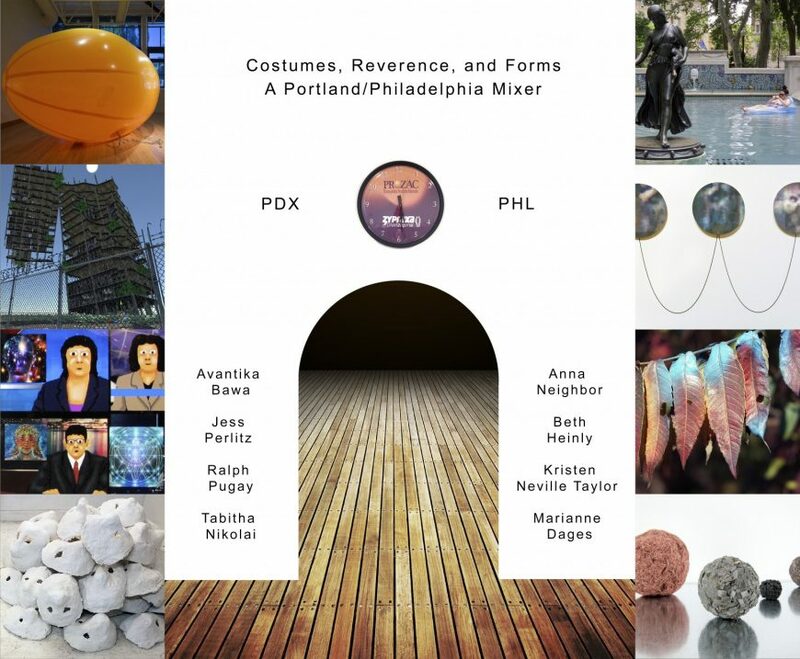 In the end, the exhibition brings eight artists from two river cities together to show their work alongside each other – both in Portland and Philadelphia. This mixer has broadened our knowledge of each other’s cities and artists, fostering new and broad relationships. However, the exhibition itself serves as a slice rather than a survey, a small fragment of the art scenes held within these two cities. Organized by Vox Populi in conjunction with Pacific Northwest College of Art, who will host the exhibition in Portland at the Center for Contemporary Art & Culture from April 6-June 3, 2017.